Wow! What a game! What a finish! Easter Monday’s top of the table Championship clash proved a real extravaganza as the Centurions fought back from 12 points down midway through the second half to claim a share of the spoils. In truth both teams had their chances to win it and there were a good number of breaks and defensive scrambles throughout. 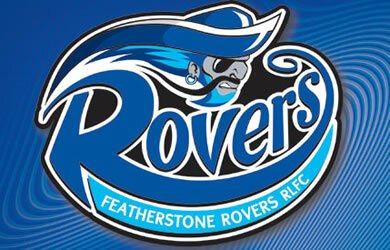 Featherstone made a great start when Liam Finn forced a drop out from the kick-off and Leigh then conceded a penalty. Experienced Stuart Dickens then kept the ball alive and Liam Finn combined with Andy Kain for a long pass to send Bryn Powell over on the right for a Finn improved score. At the end of their next set Finn fired a long kick downfield that bounced off the posts and Leigh threatened for the first time when Rhys Evans made a half break from his own half after quick hands. 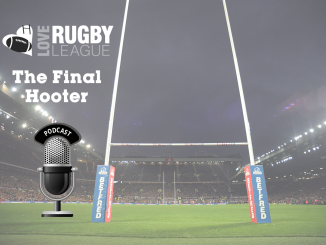 Leigh began to build and after a Stuart Donlan break that brought the best out of Ian Hardman, Tommy Goulden was held short before a Jamie Ellis kick and some enthusiastic chasing from Stuart Littler forced a drop out. From this position, Goulden fired a wide pass and Dean McGilvray‘s inside ball for Mick Nanyn was ruled forward. A 35 metre break from Powell came to nothing for Rovers before Leigh scored their first try of the game. Martyn Ridyard saw his kick palmed down by Rovers. Swift reactions from the stand-off saw him race into an opening and Jamie Ellis supported on the inside to score from thirty metres. Mick Nanyn booted the first of four goals to make it 6-6. Within a couple of minutes Rovers signalled their intentions when Tommy Saxton cut through and raced for the line only for a super Donlan tackle to hold him up in goal. Hardman was forced to tackle at the other end when Evans also slipped the net and Steve Maden’s kick again saw good pressure from Littler and Andy Bostock got the ball dead. Anthony Nicholson was the next player to go through the line but when he was caught and Nanyn spilled the ball, Hardman collected and ran over half the length of the field. In the same set Ellis tackled back on Bostock but with the Leigh line stretched, more good passing from Rovers saw Powell step and crash through for his second try of the game. James Taylor galloped through off Ellis but the chance was lost and Jon Hepworth then saw his attacking kick trapped and collected by Ridyard. Two plays after David Mills had been held up, Ellis took the line on again and grounded for his 14th try of a busy season. Surprisingly, Nanyn fluffed the conversion but Leigh put their hosts on the rack after Finn kicked the restart into touch on the full. A penalty then took Rovers downfield before Finn sent the ball left and Hardman cantered through the defence. 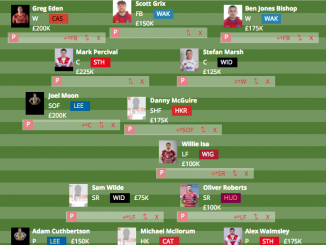 Trailing by eight points, Leigh needed a response before the break and that’s just what they came up with when Littler ran strongly and offloaded for Evans to run in at the corner. Nanyn’s conversion made it 18-16 to Rovers at half-time. A 40-20 by Ellis put Leigh on the front foot but they could not convert it and gradually Rovers got the field position and piled on the pressure. Finn fired Rovers further ahead with a superb pass that sent Jon Grayshon over and although Leigh stopped a similar move a couple of minutes later, they could not stop Finn totally and the Irish international found Bostock for the big centre to get past Littler in the corner. Although Finn missed the conversion, Rovers led 28-16 and looked strong when they restricted Leigh to just 15 metres in one set. 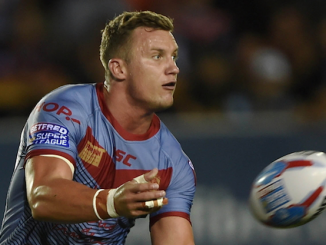 The Centurions recovered and seemed to be inspired when Taylor caught Tonks with a big tackle and Jon Hepworth conceded a turnover after being swamped on the last tackle. 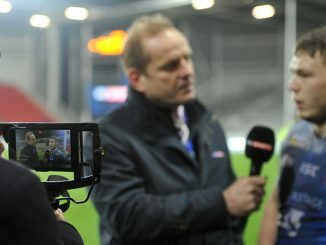 When Adam Higson won a penalty for Leigh, the tide appeared to be turning. Mick Govin proved inspirational as he darted from dummy half and offloaded for Goulden to juggle and then spin over the line for his sixth try of the season. Nanyn converted but Rovers replied when Finn slipped through the defence only to see his wide pass palmed down by McGilvray and cleaned up by Donlan. It was a poor end to something that promised much. Rovers still had the edge on field position but Leigh were starting to come into the game more and they chanced their arm on the last tackle with Ridyard conceding a turnover on halfway. 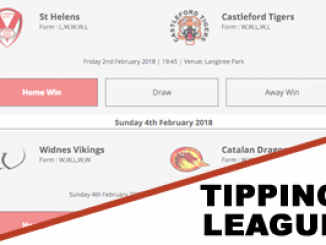 Featherstone looked to be tiring in the warm conditions and when Finn sent a drop goal attempt short and wide, they looked out on their feet. Leigh then launched their game levelling possession with a couple of solid drives before an eleven pass move that twice involved Govin, Ellis and Ridyard saw Higson eventually send Nanyn in at the corner for the big centre to earn the plaudits with a nerveless kick that sailed between the posts from the touchline to preserve the Centurions unbeaten run and bring a breathless game to a close in complete stalemate. Tries: Ellis (12, 27), Evans (37), Goulden (62), Nanyn (79).